Get your plumbing issues fixed right the first time with Boca Raton plumbers you can count on. Our guarantee means that the job is not finished until you are fully satisfied with our work. Enjoy piece of mind knowing you hired a professional and the job will be done the way it should be. 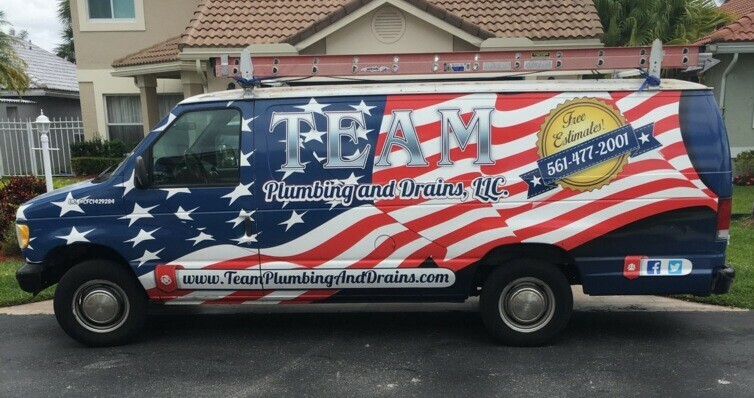 Team Plumbing and Drains LLC provides excellent plumbing services in Palm Beach County and the surrounding areas. Whether you’re in need of local plumbers in Boca Raton, FL for repairs or drain cleaning, we’ve got you covered. We have earned a reputation for providing our customers with timely, friendly and affordable plumbing services. So when you're in need of a plumber give us a call so you can rest easy knowing that you have the number one trusted name in plumbing services on your side. If you have been searching for honest, reliable Boca Raton Plumbers who can even handle your emergency plumbing services, your search is over. We have tons of local reviews and testimonials, because we provide excellent and timely services. Pick up your phone and call us 24x7 561-477-2001! A plumber comes to your home and will provide a free estimate! Unlike our competitors, we do not believe our customers should have to pay upwards of $100 just for us to stop by. Our free plumbing estimate policy ensures that you won't be charged until you're sure that we are the right plumber for you. We want to make sure you get free, up-front pricing for your specific issue. This means that you get that family feel while still maintaining all of the benefits of hiring a fully licensed plumber. Our staff works closely with its customers to provide personalized care. Need a Boca Raton Plumber? Call Team Plumbing! When it comes to Boca Raton plumbers our Team strives to be the best. We strongly believe to achieve this goal, our main focus has to be customer satisfaction. That's why we stand behind each and every job we do. The job is not over until the customer is completely satisfied with the services we have provided. © Team Plumbing and Drains LLC, 2018.